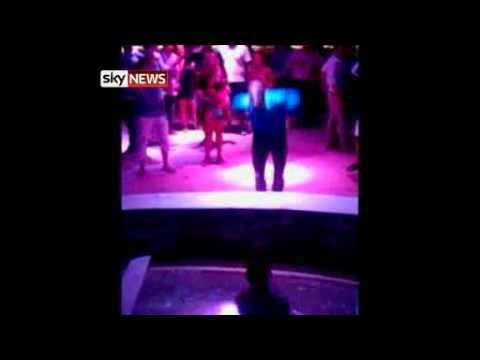 Prince Harry has been showing off his dancing – and swimming – skills during a night out at a club in Croatia. The royal was on the island of Hvar with a group of friends when he was filmed by a pool at the open-air Veneranda club. After showing off his moves, the 26-year-old appears to lose his balance and turns to dive into the water. He then climbs out and carries on dancing in his soaking wet clothes.